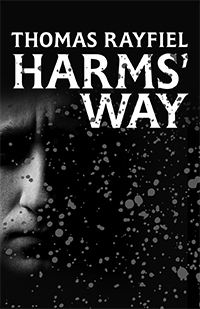 Thomas Rayfiel ’80 sets his eighth novel (Permanent Press, 2018) in the voice and head of Ethan Harms, inmate of a “supermax” detention facility. 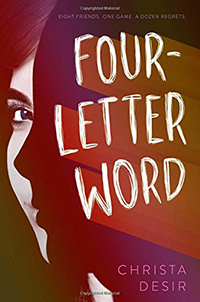 As Ethan negotiates this perilous landscape, trying to find redemption, trying to understand the actions that brought him here, we begin to wonder how much of a difference there is between a prison of steel bars and razor tape and a prison erected by the nature of the human soul itself, the question being, in either instance, if one escapes … what lies beyond? 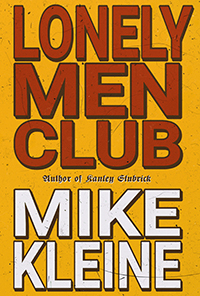 Mike Kleine ’11 produced this 100,000-word, computer-generated novel about a time-traveling manifestation of the Zodiac Killer for the small press Inside the Castle over a period of five days during the Castle Freak Residency in November 2017. Sally Campbell Galman ’96 recently released a book, Naptime at the O.K. Corral — Shane’s Beginner’s Guide to Childhood Ethnography (Routledge, 2018). This illustrated guide will orient the reader to the fundamental challenges in doing ethnographic research with children. The book begins by briefly exploring the history of research on children, with children, for children, and “by” children. Throughout, it is about doing research with children rather than on them, highlighting their participant rather than object nature. 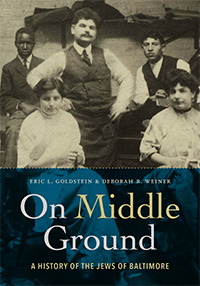 Deborah R. Weiner ’79 is co-author of On Middle Ground: A History of the Jews of Baltimore (Johns Hopkins University Press, 2018). This comprehensive history of Baltimore’s Jewish community reveals how the city’s position between North and South profoundly shaped Jewish economic, social, and religious life. The book illuminates both Baltimore and its Jews, showing how each influenced the other. Alan Goldfarb ’52 has published his third collection of poems, Opening Words: New and Selected Poems (Robertson Publishing, 2018). During a summer spent on their grandparents’ farm, the brother and sister in this novel in verse collect eggs from the chicken coop, put on shows for city folks in passing trains, fill in for the farm dog by barking the cows home, and dance around the perfectly ripening watermelon growing in grandma’s garden. 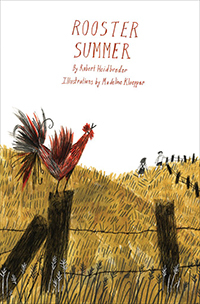 Rooster Summer (Groundwood, 2018) is based on the childhood of Robert Heidbreder ’69, an award-winning children’s poet and author.